There are a lot of new fashion watch brands launched every year but there are very few that truly breakout. Even rarer is a long term collaboraton between a breakout brand and a design firm that has gone from strength to strength each year. Such is the relationship between Nixon and Cinco. 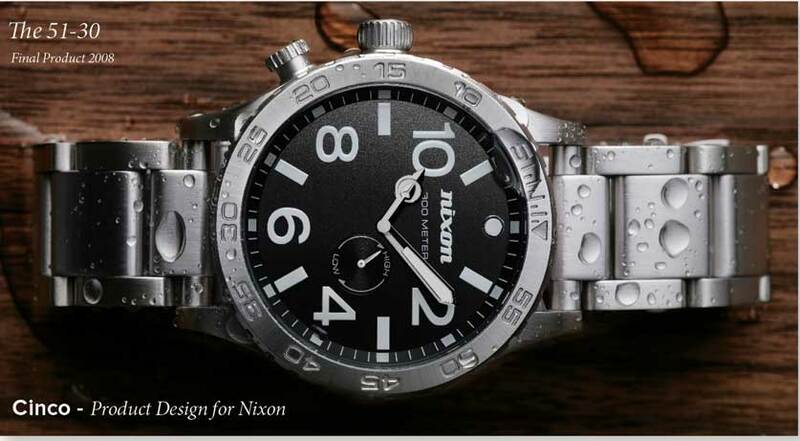 Established in 1997, Nixon was an attempt to reboot the wristwatch accessory market in the action sport genre. Watches previously sold in skate and surf shops didn’t serve their market well and Nixon saw an opening. 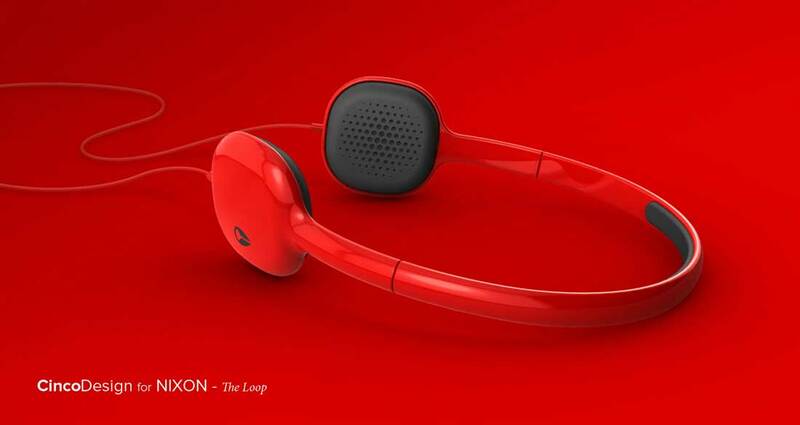 However, the brand quickly attained crossover appeal and now is a success story with a presence in over 25 countries and a product range that includes watches, soft goods and now headphones. There are a number of reasons for Nixon’s success – their ability to conjure up enthusiasm in their action sport segment, their unorthodox brand positioning but most of all, it is their product design that adds a fresh twist to the current world of mainstream wristfashion. Could you tell us how Cinco got around working with Nixon? Matt Capozzi: This one goes way back. Before starting Cinco with 4 other friends Kirk James worked back in Vermont at JDK on many great projects including Burton Snowboards. One of his main clients was Andy Laats who would later start Nixon. Years after working together Andy was starting to formalize his plans with Chad Dinenna to start Nixon. They needed a design partner to help with many aspects of the brand from naming, identity and logo, to the overall look and feel as well as their product, packaging, retail and tradeshow booths. That was back in 1997 and we are still designing almost every technical product they make here at Cinco today. Since then like Nixon has grown, so has Cinco. We are now a studio of over 35 here in Portland bringing our wholistic brand, digital and product design strategy to many of the worlds top brands in the lifestyle, entertainment and consumer electronics space. 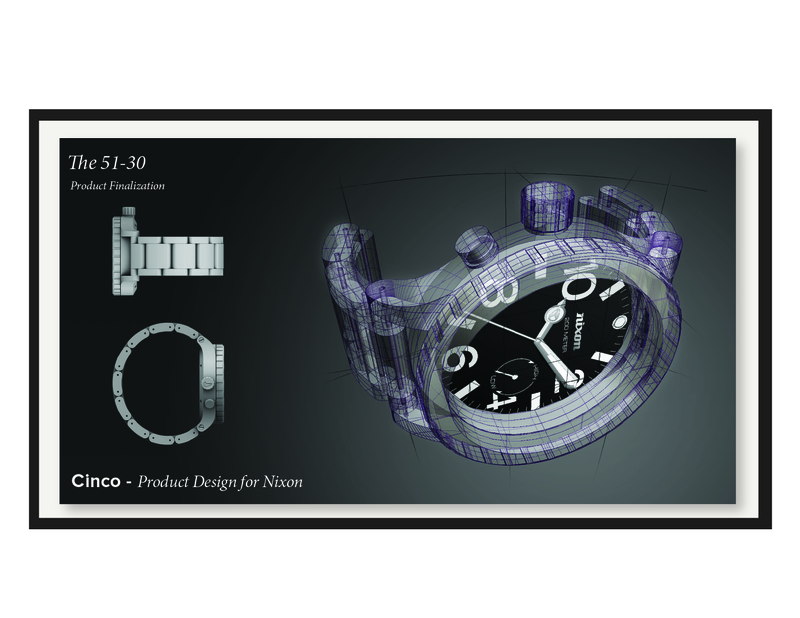 How would you define Cinco’s design approach when it comes to watches? Matt Capozzi: Our approach is to keep it fresh. 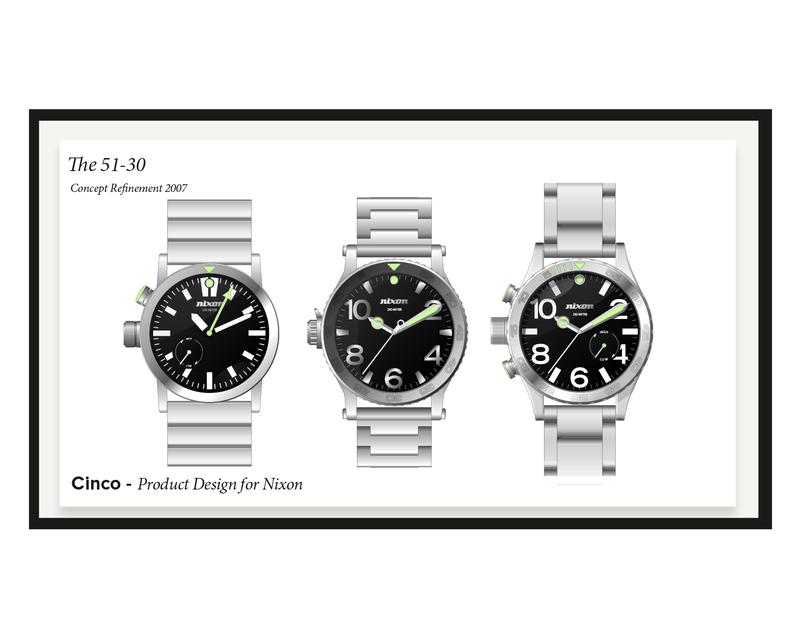 Over the years with Nixon we have crafted a design language and strategy for their line. So with this, our approach is to understand what the line is missing from the great product management team at Nixon and deliver a fresh, authentic and relevant designs to their team. 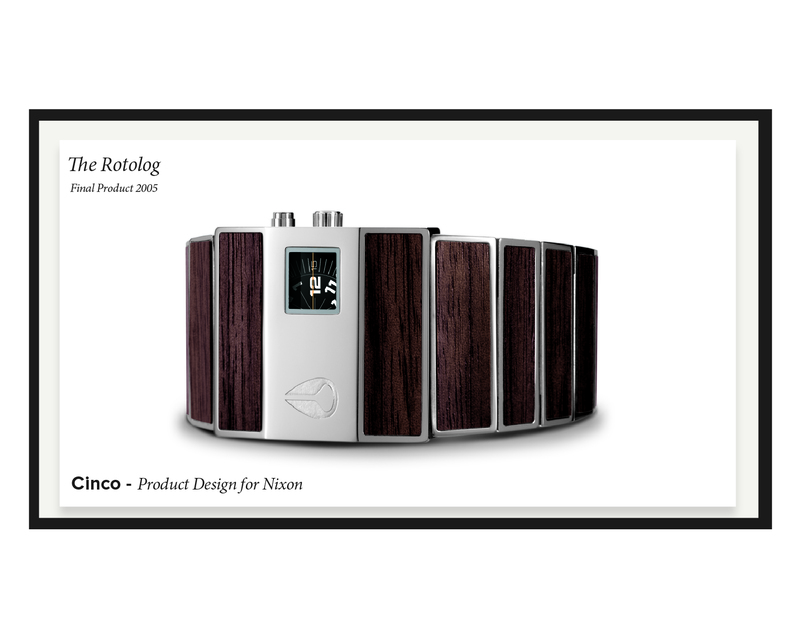 We always design for the end consumer and with Nixon, many of us at Cinco are the end consumers, so that makes understanding their target easy. We like to say at Cinco we design things for us and our friends. We are great friends with all of our clients and in turn all of their consumers. 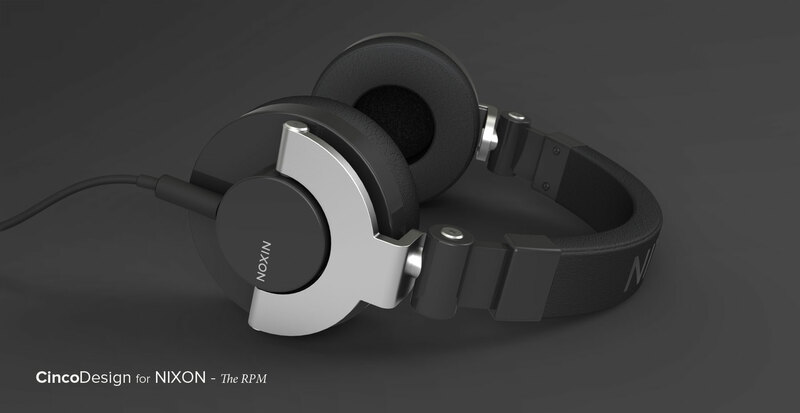 In addition to continuing to further their watches we have had the opportunity to extend our design work into Nixon’s new range of audio products that drop this Spring (2011) which has been very exciting. How has being an outsider contributed to Nixon’s success? Matt Capozzi: I can’t speak for Nixon as much as I can for Cinco, but being an outsider is why we are here. With so much of our collective background coming from alternative sports, music and culture we have all come up as outsiders. When the opportunity arose to design a brand and products to connect to a group that wasn’t being served by the main stream products in the market we jumped on it. When you come from the outside it’s sometimes easier to see a clear opportunity for a distinct difference in design. Nixon has done an amazing job at staying connected with their core market while at the same time expanding beyond action sport distribution. 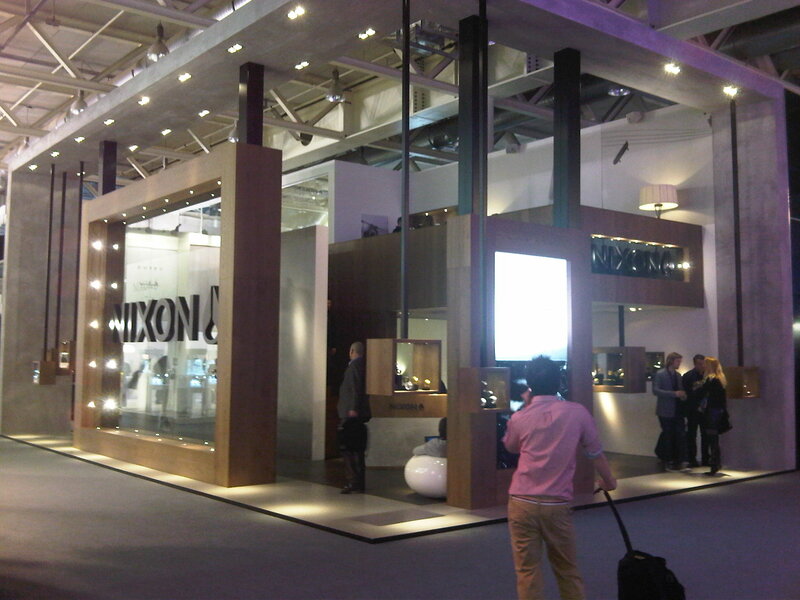 Even with a booth at Basel, Nixon is still an outsider to the watch industry and I’m sure they wouldn’t have it any other way. You said that it’s sometimes easier to see a clear opportunity for a distinct difference in design. Can you give me some examples? Matt Capozzi: Good question…the two examples that we like to talk about here are the Rotolog and the 51-30. 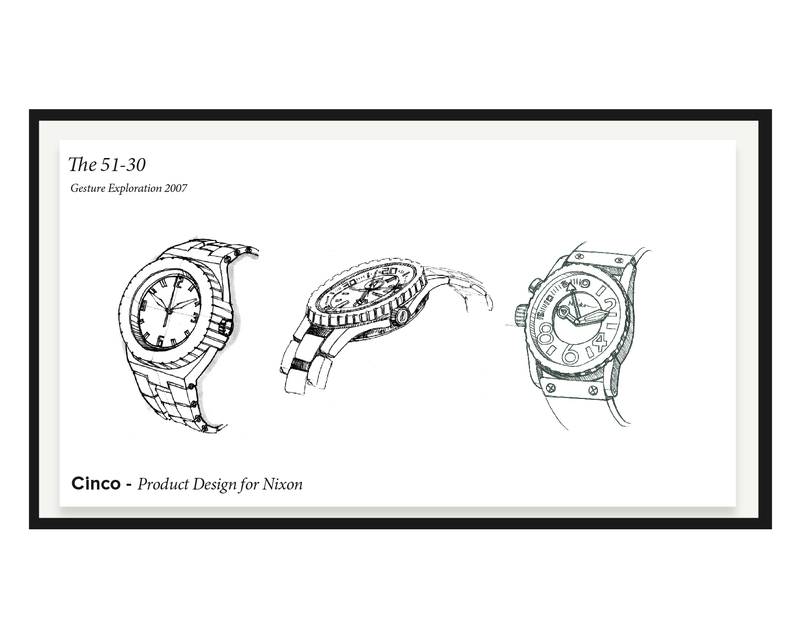 There are a lot of newer designs that we could talk about, but both of these were pivotal for both Nixon and Cinco. The Rotolog was done years ago now, but is still going strong. Nixon as a brand was already very established in the action sports retail channels and was a leading brand for that audience. At the same time, back in the 2004 time frame, the influence of mid-century modern furniture was being felt strong for that same audience. 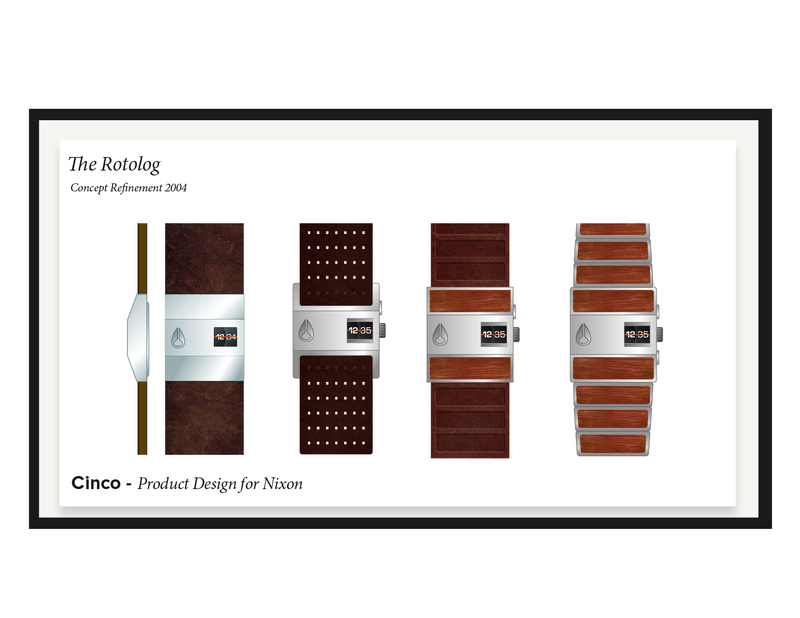 I was working in-house at Nixon at the time and we were talking to some of the team about a modern, unexpected product that was inspired by some of the innovative and bizarre watches of the 70′s. Kirk and the team at Cinco was able to pull some amazing concepts together that started to hit a chord strong with the team. 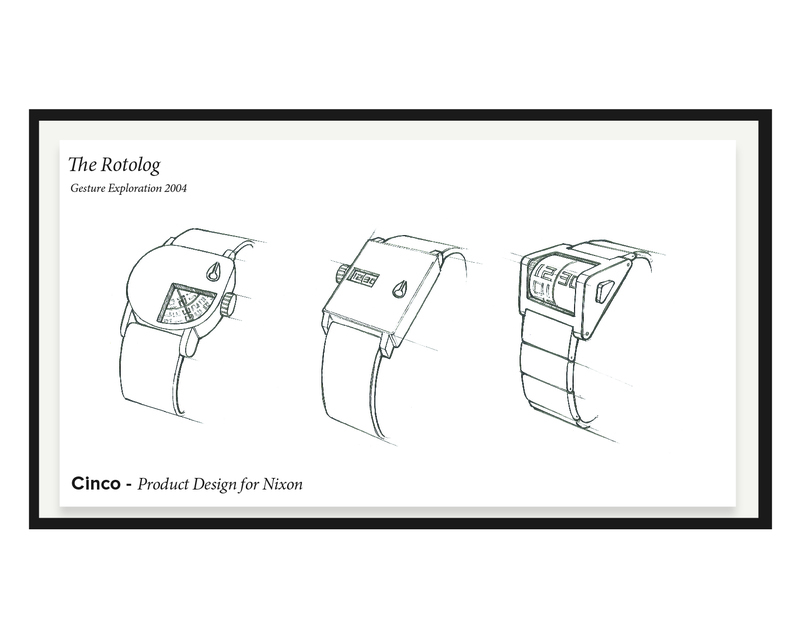 After we saw these first sketches we loved the idea of the direct time, rotary dial concept and moved forward. Digging back into our inspiration we hit a form that felt right and also came to the idea of inlaying material, which had not really been done in this way in the watch industry. The whole time we were not worried about what was out there but what was right for the Nixon audience. The idea to inlay wood and enamel into the watch felt perfect. After many samples and prototypes we hit on a way to inlay real wood veneer into a stainless steel watch that used a rotary dial and bright LED light. It was right on point for the brand. When the watch launched it was something that no one in the industry had expected and still stands on it’s own today. This watch lead to a whole line of accessories and other products that are still in the line today that hit this chord of classic, modern and unexpected at the same time. The Rotolog has gone on to carry inlays of Tony Hawk’s skate board, Jeremy Jones’ snowboard and even an amazing diamond encrusted skull design for Barney’s that sold for $18,000. The other watch that was obvious to us, but not to the industry was the 51-30. It was briefed as a watch called “The Waterman” to us here at Cinco. The idea was to create a classic watch that was designed with the surf team to wear when they are living their lives on boats, fishing and just being in the water…they call these guys Waterman…more than just surfers. We were able to work closely with the Nixon surf team and realized that big bold numbers, a count down bezel and tide information were key. As the scale of the watch came up through our concepts the realization was that we had to move the crown to the 9:00 side so it doesn’t dig into your wrist when you are surfing. Put it all together and you have a 51mm watch that is water resistant to 30ATM that is great to surf with and live as a true Waterman with. 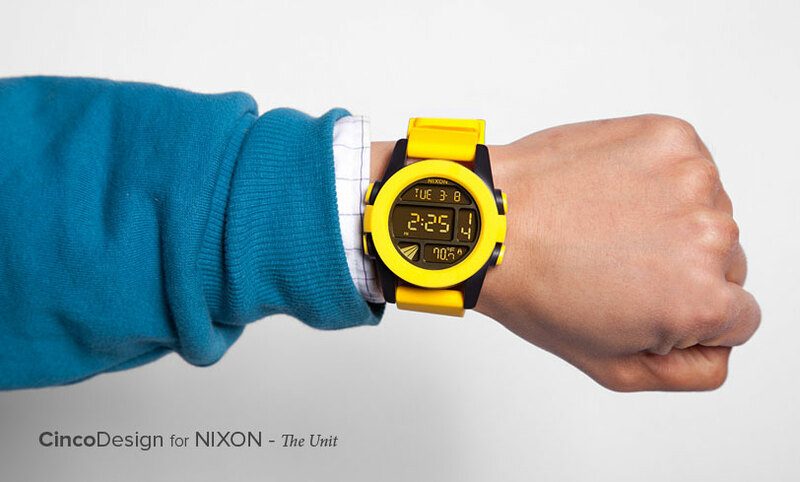 This watch has blown up for Nixon and is available in multiple sizes, finishes and materials. It has continued to evolve and is now available in solid ceramic with more exciting version coming soon. The overarching answer is that we see an opportunity for distinct designs for the Nixon customer without worrying about the watch industry at all. Because of that we often find ourselves doing things that others don’t often do. What was the thinking behind the Nixon logo change? 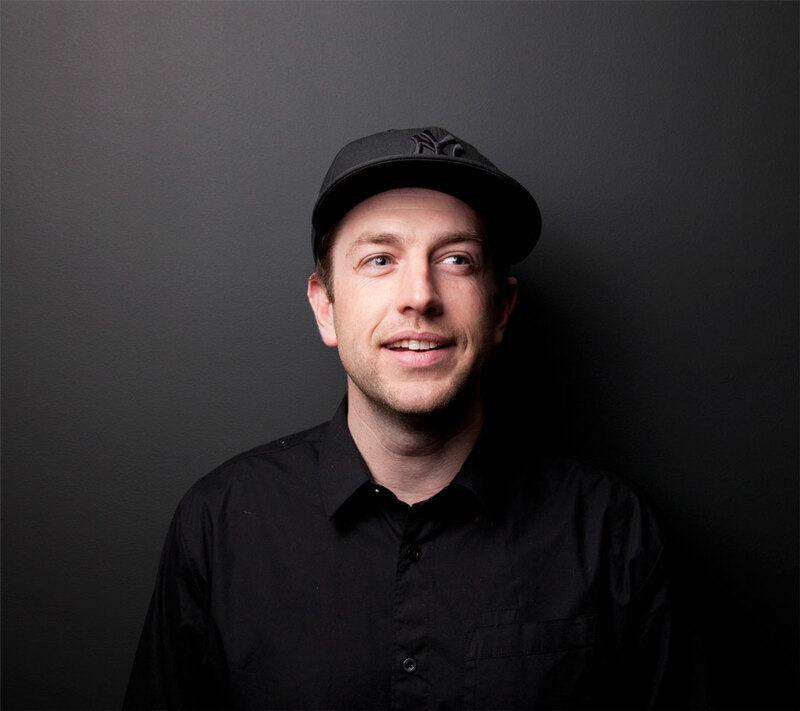 Matt Capozzi: Nixon is a brand that is focused on bringing current, relevant, premium accessories to their consumers. The original type for the brand was great and served the brand well to differentiate itself, and disrupt the market. It did exactly that. As the brand matured and the products that we have designed for them began to define the face of the brand it was time for the attitude and the bold stance of the word mark to take a step back. With a strong, simple, classic typeface the word NIXON now is an elegant tie back to an impactful product, message or image. While we did make a big change to the type for the wordmark, we left the original icon logo untouched. 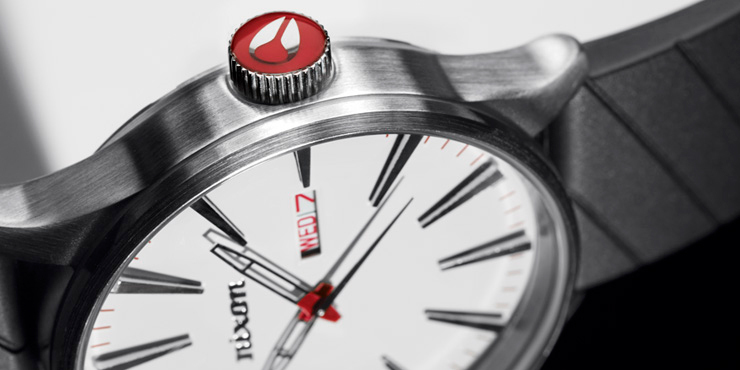 With a loose reference to the wings of time the Nixon icon remains strong. We realize that a change like this is’t very common in the watch world but in our world change is good. Being an outsider, what are your views on the watch industry? Matt Capozzi: From our view the watch industry in an interesting place these days. The need for a watch is nearly gone with a few exceptions. Mobile devices and media everywhere has made telling time a commodity which means brands have to connect with their consumers in new ways. If someone younger than 35 is wearing a watch these days, chances are it is saying something special. It’s speaking to their personality and is a big part of their self expression. It will be interesting to see as these consumers grow older what their demands for premium accessories will be. It may not be watches at all. Maybe it will be some amazing headphones or some other personal accessory we can’t even see today. Either way from our side here at Cinco it’s a good time to be an outsider in the industry, it’s what makes our designs unique. 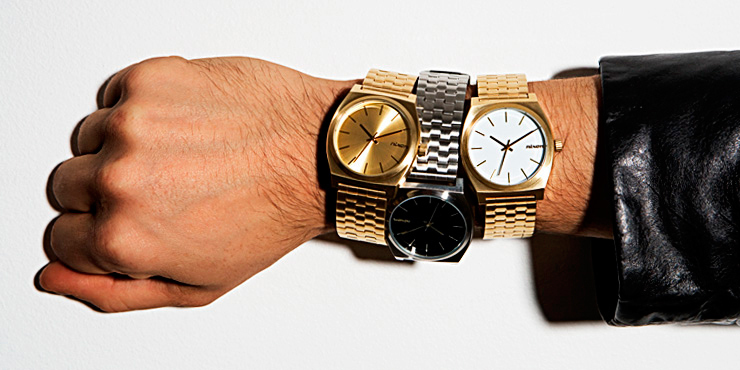 fashionable Nixon watches. I adore. Great article about Nixon watches. You can make a book from this blog man! Great interview man, it is always nice to hear about incubator ideas coming to life. Nixon has always had a reputation for being a relatively open company when it comes to this, so hearing about the Cinco side is pretty rad. I am a big watch collector (mostly Vintage, Fossil & Nixon), so this really was a nice piece to read. Thanks! I have a friend that wants to sell me his 51-30 but it has the old wordmark (Nixon) does this change the value of the watch at all. When did the wordmark change? I love the 51-30 oversize watch. It is so gorgeous!!. I always receive great feedback.